In 1948 Najin and Calvin Cho, with their young daughter Miran, travel from South Korea to the United States in search of new opportunities. Wary of the challenges they know will face them, Najin and Calvin make the difficult decision to leave their other daughter, Inja, behind with their extended family; soon, they hope, they will return to her. But then war breaks out in Korea, and there is no end in sight to the separation. Miran grows up in prosperous American suburbia, under the shadow of the daughter left behind, as Inja grapples in her war-torn land with ties to a family she doesn't remember. Najin and Calvin desperately seek a reunion with Inja, but are the bonds of love strong enough to reconnect their family over distance, time, and war? And as deep family secrets are revealed, will everything they long for be upended? 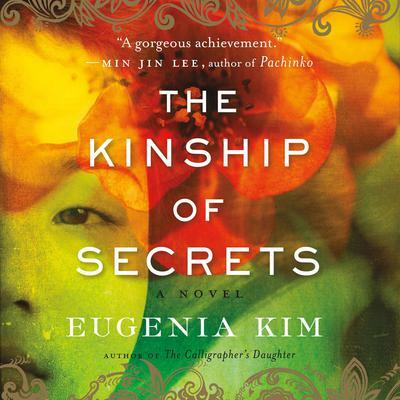 Told through the alternating perspectives of the distanced sisters, and inspired by a true story, The Kinship of Secrets explores the cruelty of war, the power of hope, and what it means to be a sister. Eugenia Kim is the daughter of Korean immigrant parents who came to America shortly after the Pacific War. She has published short stories and essays in journals and anthologies, including Echoes upon Echoes: New Korean American Writings, and is an MFA graduate of Bennington College. She lives in Washington, DC, with her husband and son.